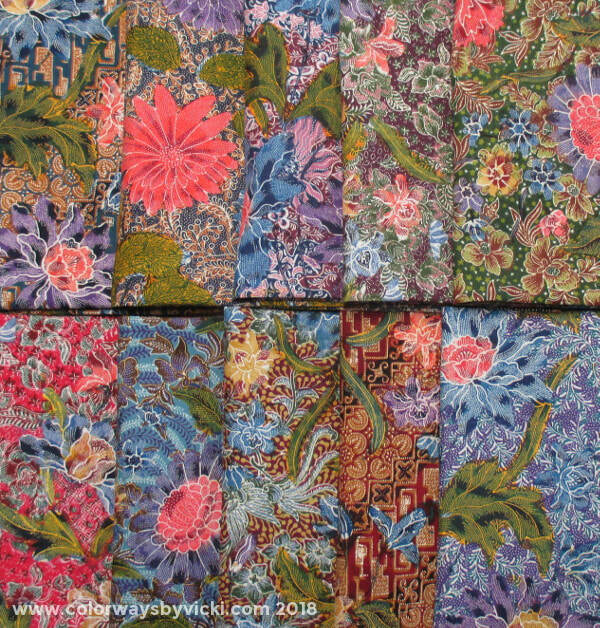 This quilt started with the purchase of these Indonesian Batik fabrics in February 2018. 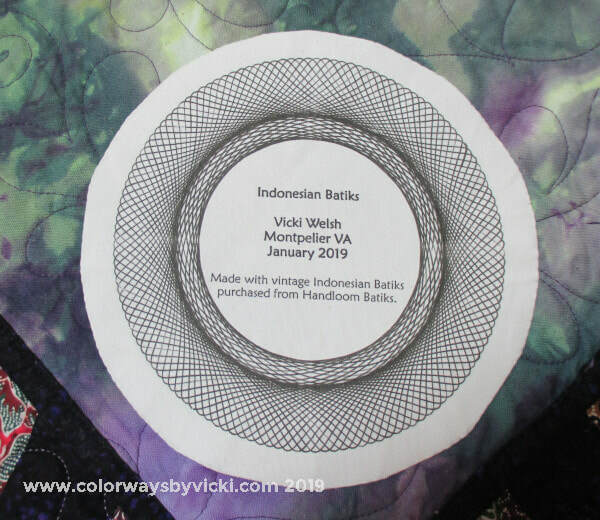 I bought then from Handloom Batiks at the Mid-Atlantic Quilt Show. 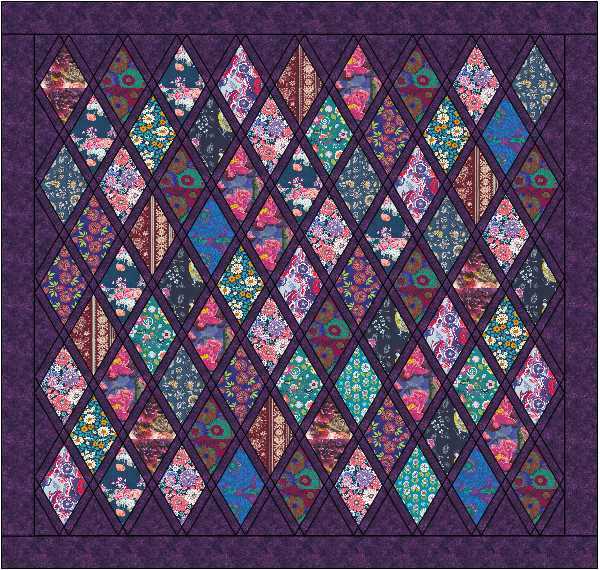 They are the most expensive quilt fabrics that I've every bought. 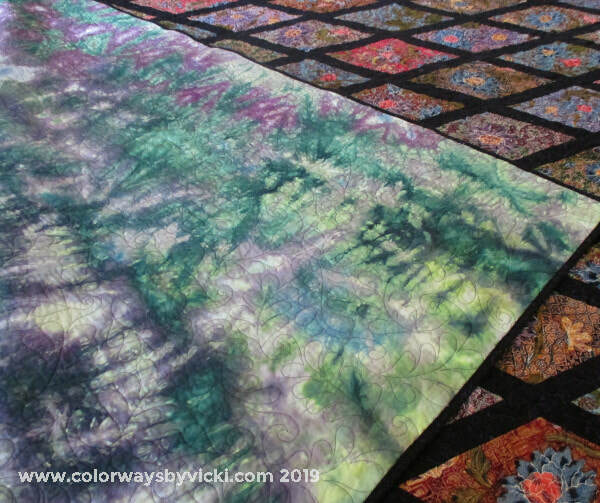 They actually make hand dyed fabrics seem a bargain! 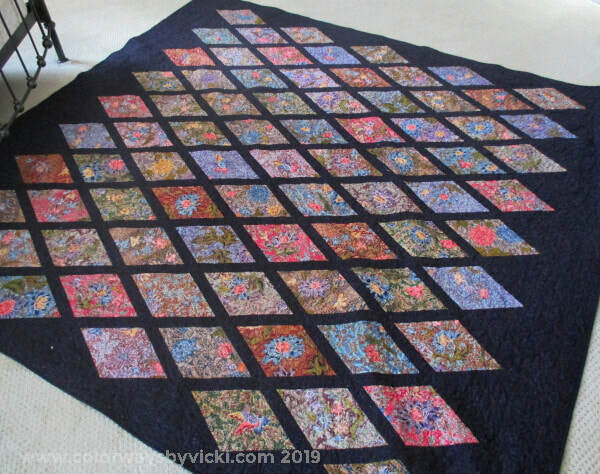 I knew that the quilt would be for us to use and I wanted a simple pattern that would best show off the beautiful detail in the fabrics. After playing with squares and rectangles I eventually settled on diamonds. 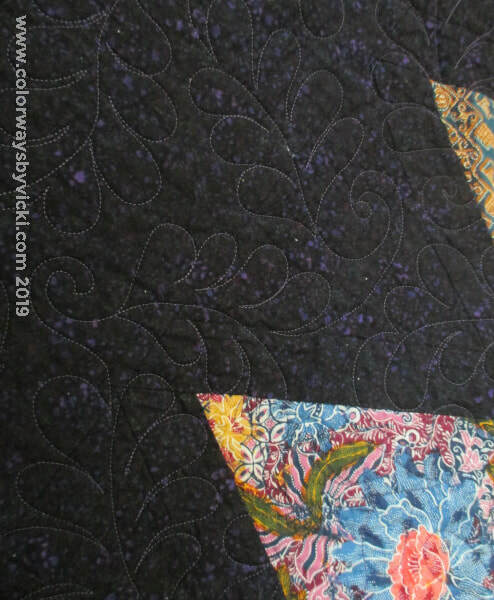 I used the nested diamond design rulers from Quilter's Apothecary to cut the diamonds. I found a perfect purple mottled fabric for the background. 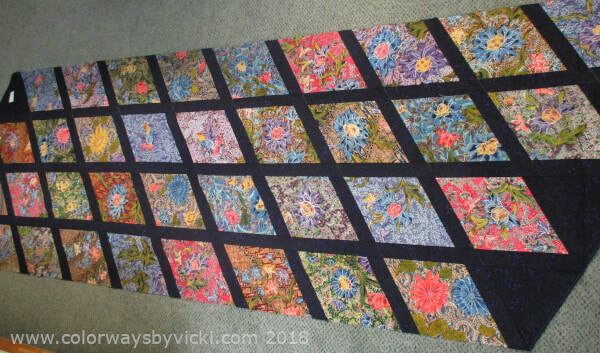 I was sewed the diagonal rows together in August and was piecing the top in September. 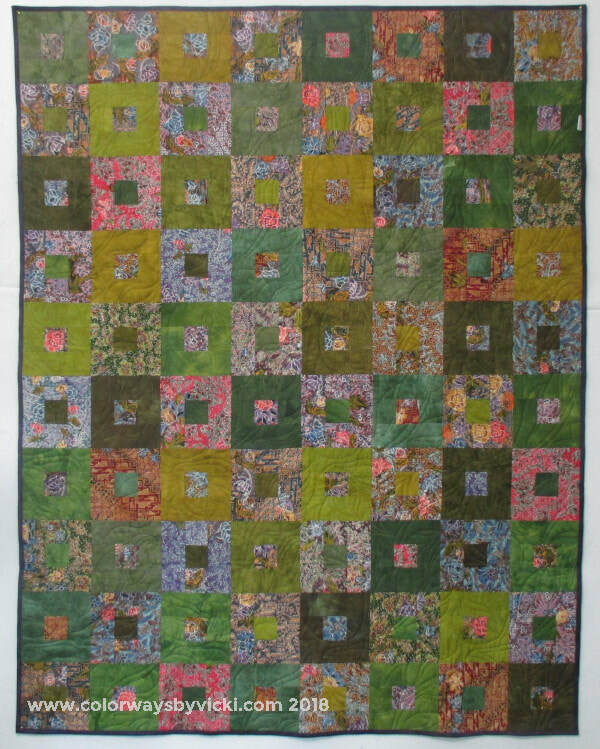 By November it was on the frame for quilting. 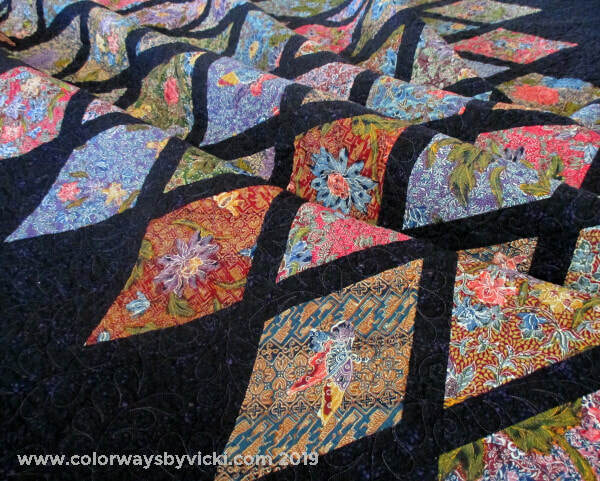 This is our winter quilt so the batting is Warm and Natural, my favorite for a heavy winter quilt. 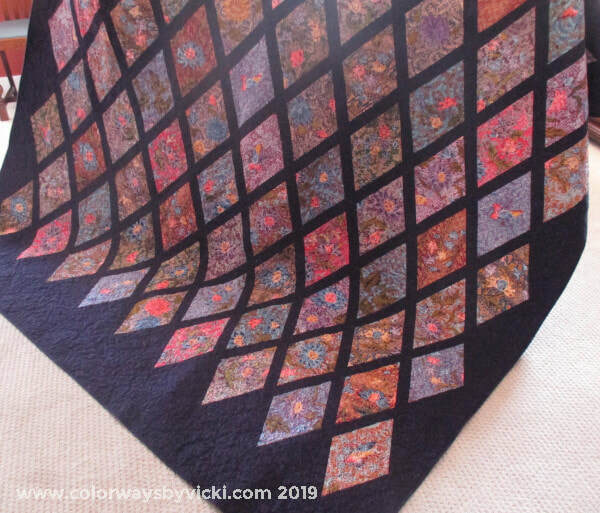 The quilting would never show on these busy fabrics so the quilting is a simple overall feather pantograph with Superior Highlights in the top and So Fine in the bobbin. 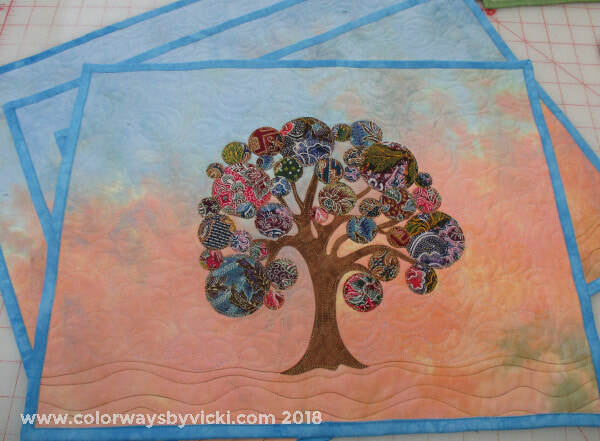 This is the first quilt that I've made in a long time that is made totally of commercial fabrics so I had to add one of my ice dyed fabrics for the back. 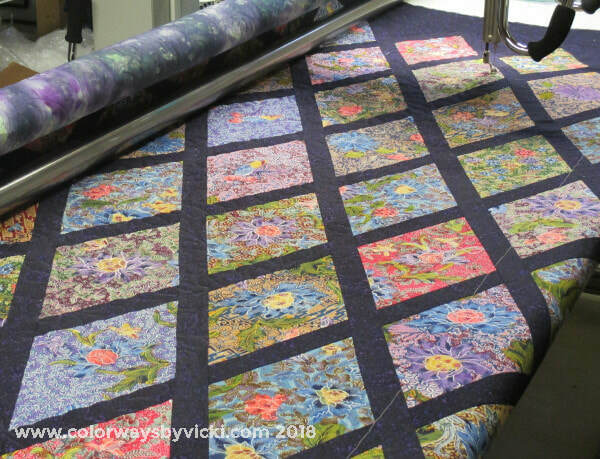 These fabrics were so expensive that they were very precious to me and I was determined to use the scraps. I used a lot of them to make a 48 x 60 veterans quilt and some small scraps to make a set of placemats. The rest of the scraps were mailed off to a blog reader to play with.